Join us for Oktoberfest this Friday! The Warren is excited to announce our plans for a lovely kick off to fall. Join us on Friday, October 2nd for an evening of good German fun. 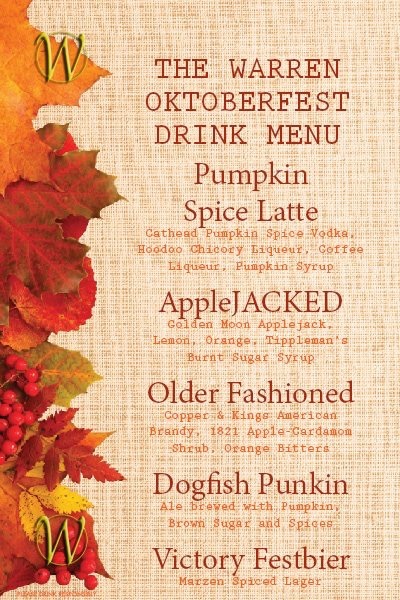 There will be Oktoberfest themed food and drinks, as well as the ever glorious pumpkin beer! Stop by and check it out! There will be a German buffet and various tasty beverages, all for just $40 a head. Don’t miss out.